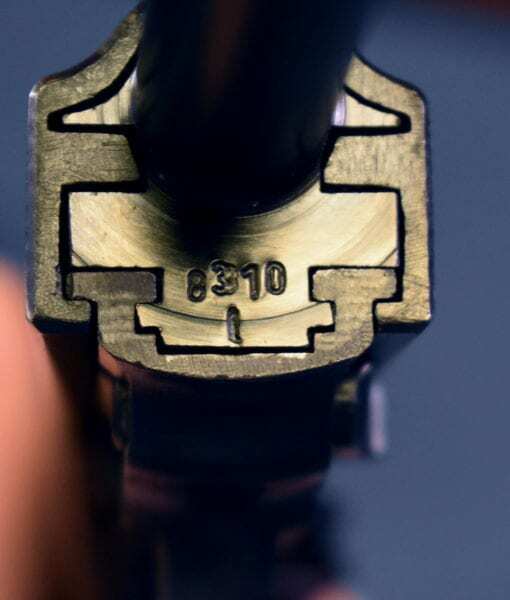 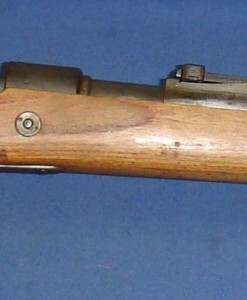 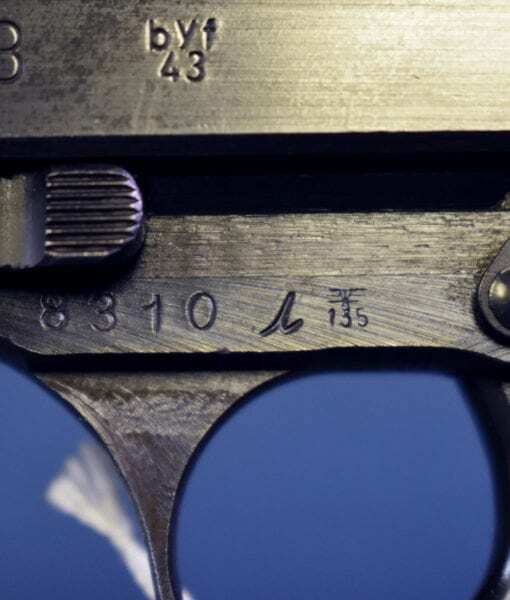 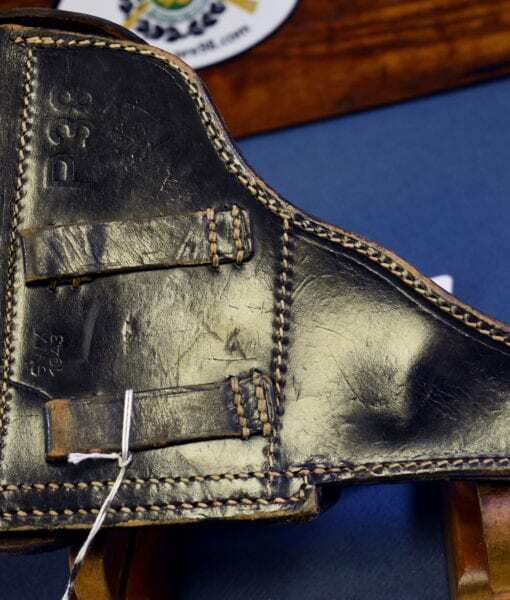 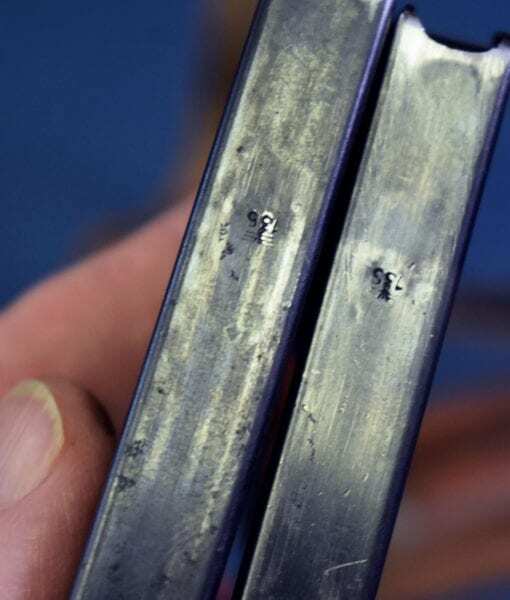 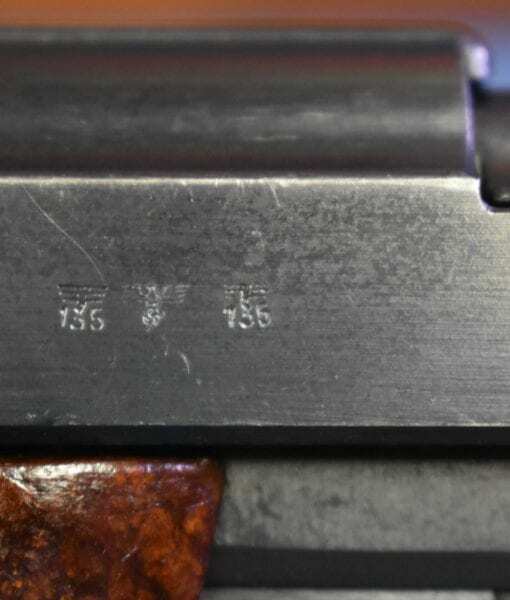 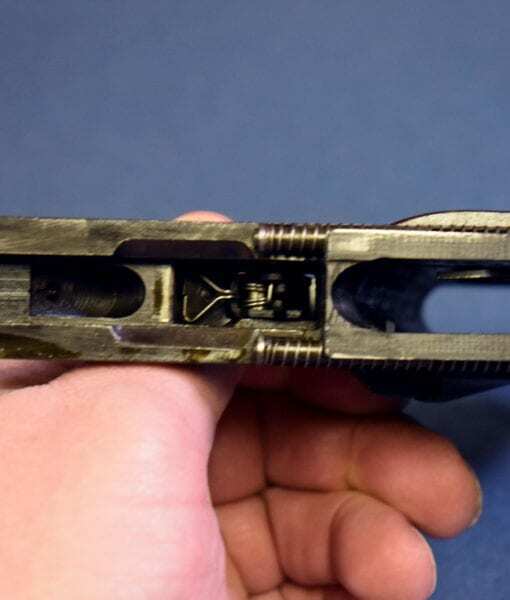 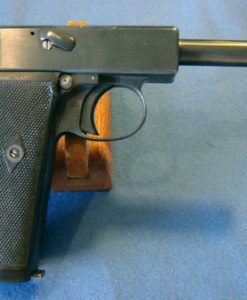 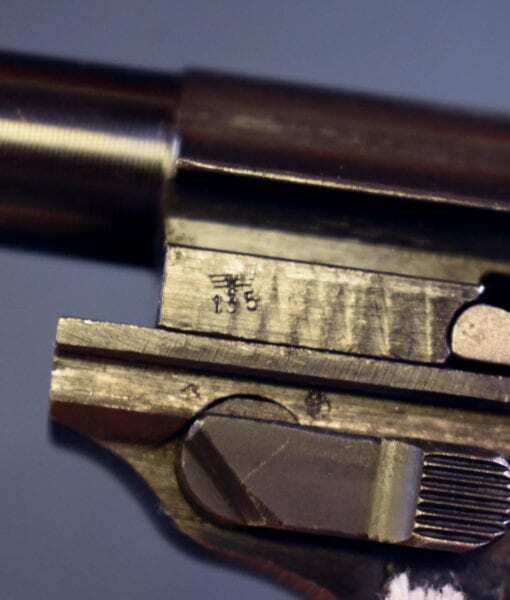 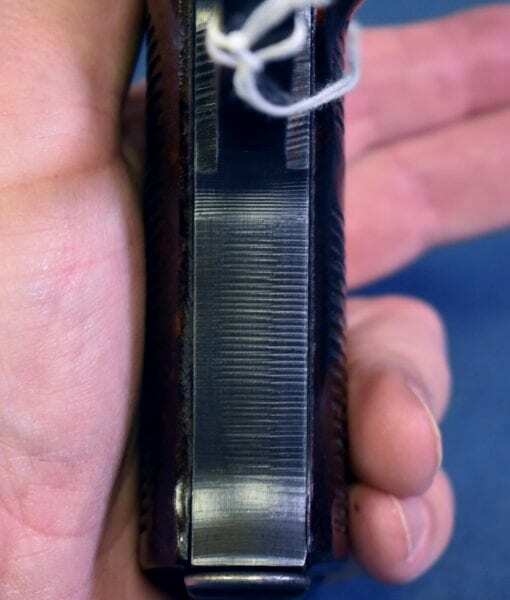 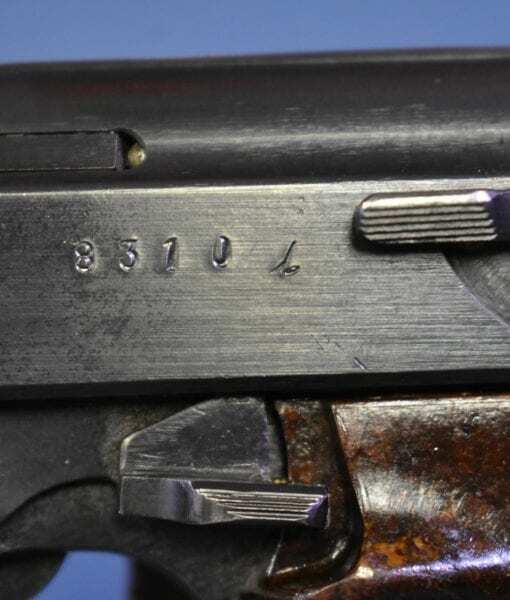 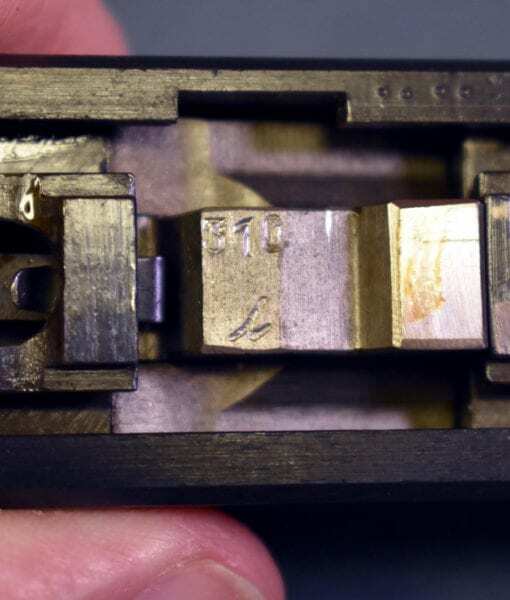 SOLD MAUSER byf 43 P.38 PISTOL…..VET BROUGHT BACK FULL RIG…..VERY SHARP!!! 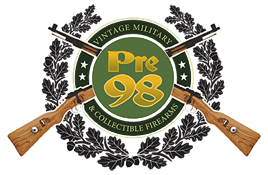 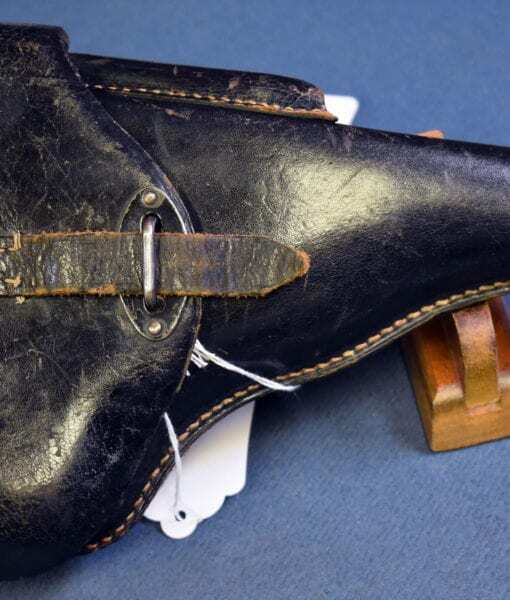 In 97% condition we have a great example of a US GI War Trophy P.38 rig exactly as it was originally brought back. 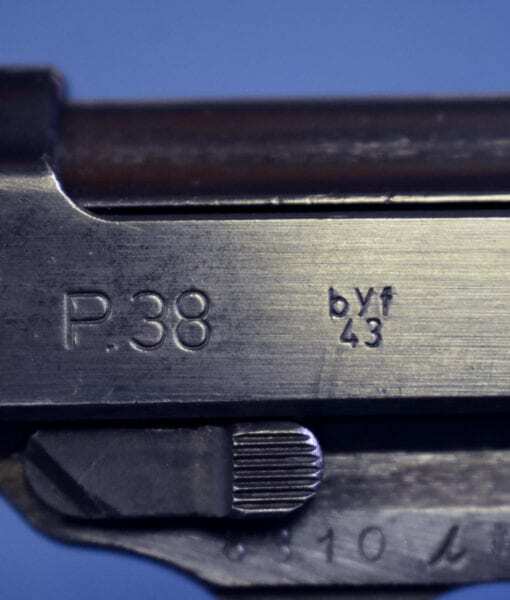 This is a mid war 1943 production Mauser made byf 43 coded P.38 pistol from the “I” production block which woould date it to early 1943. 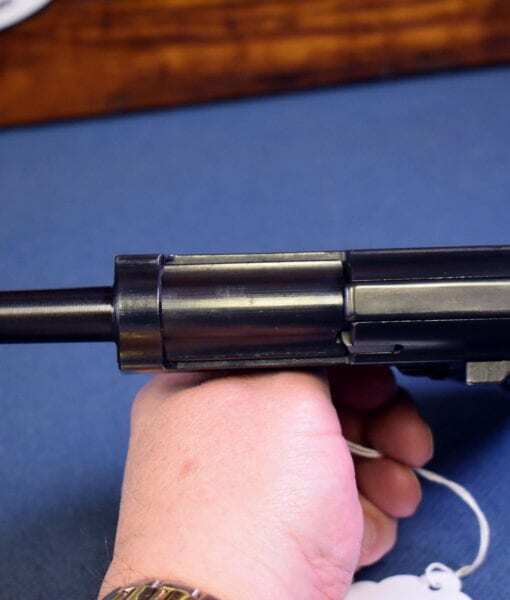 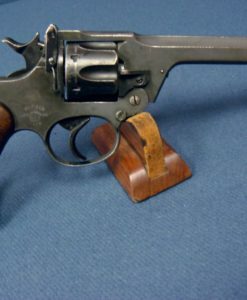 This pistol is all matching and has a mint bore. 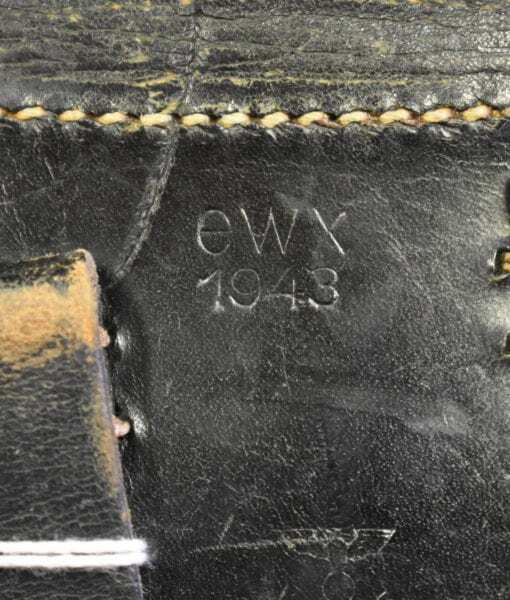 It comes with the original E/135 spare mag and a very nice ewx coded (F&K Voegels Köln) 1943 dated holster it was carried in during the war. 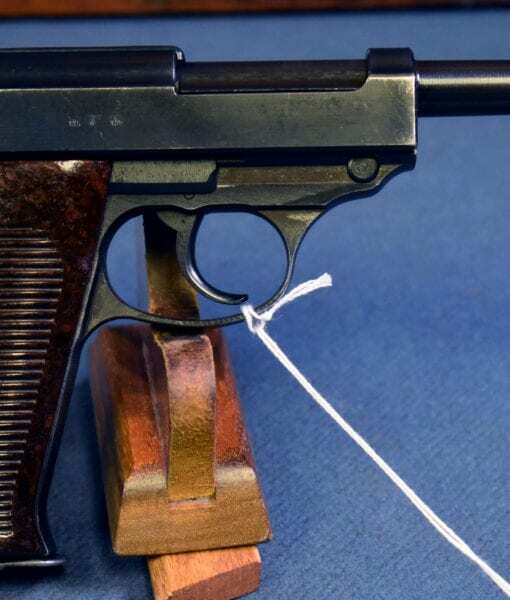 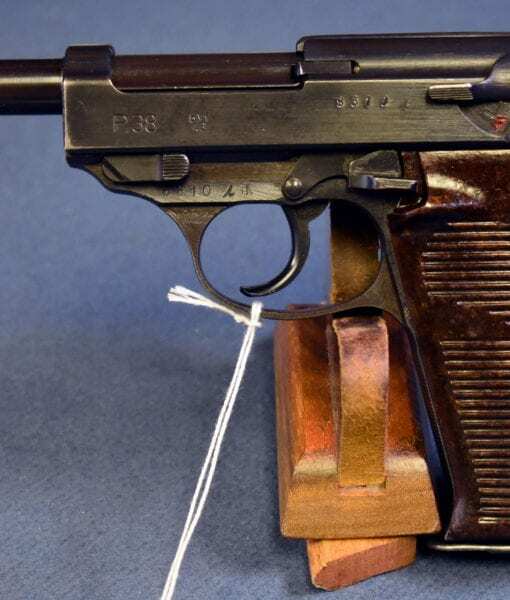 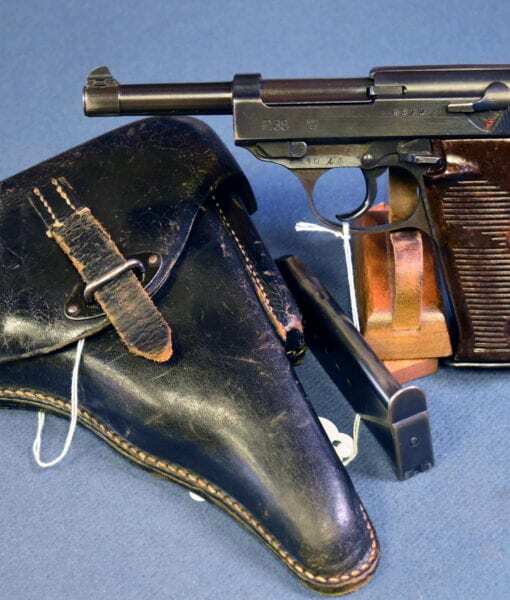 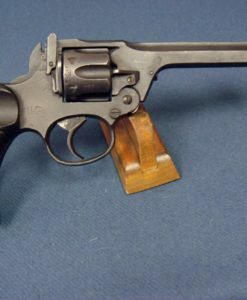 This is a great example of a very typical WW2 German Army issued P.38 pistol and I highly recommend it if you are looking for a typical wartime carried example.